This is the DS3231 breakout board that I designed for my nixie tube clock. The DS3231 is a cool Real Time Clock (RTC) chip from Maxim that keeps track of the time, date, two alarms, and outputs the current temperature. The chip has an internal oscillator which allows it to be very precise. And, the chip can run at very low power off a battery backup and keeps time for 6-7 years when the power goes off. Sounds cool, right? However, the one drawback is that the IO pins require external pull-up resistors and many of the breakout boards (like say, the ChronoDot) on the market don’t include them. So I decided to make my own breakout board with proper pull-up resistors on all the pins, appropriate de-coupling capacitors, and a on-board battery backup. 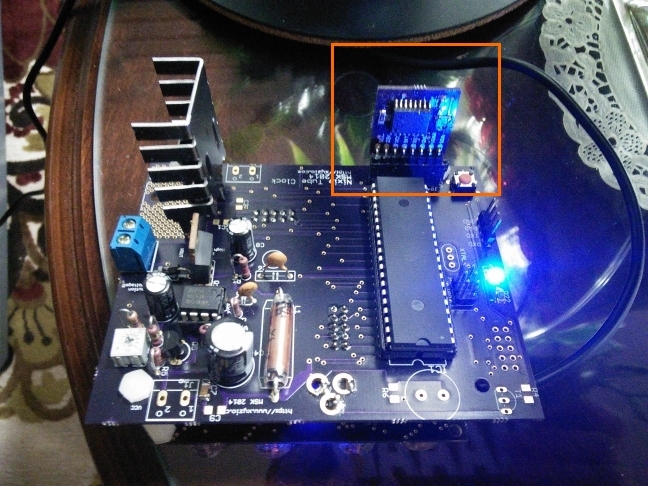 This makes the board fully independent and pluggable into any project without requiring additional components. The board is slightly taller than a quarter and works great in my nixie tube clock. In the future I should be able to port it other projects. 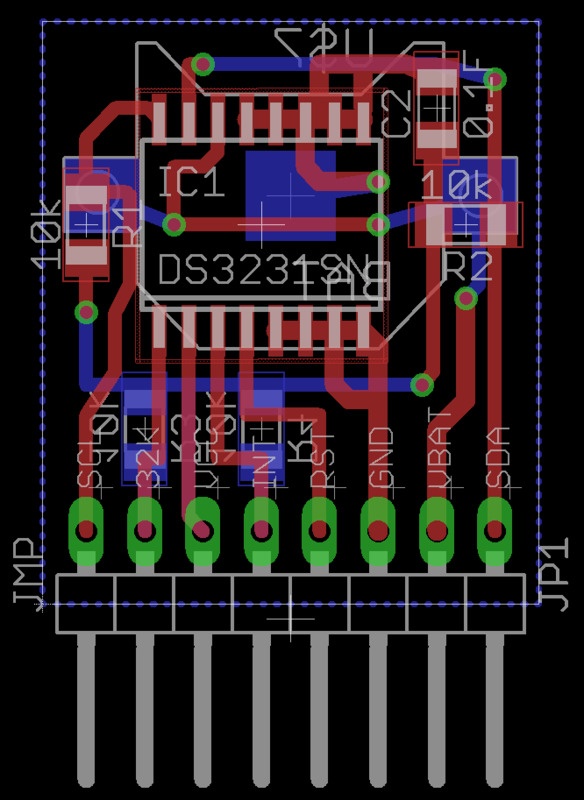 The layout follows the datasheet and I tried to keep a nice solid ground plane under the chip. I used surface mount components to reduce board size but used larger 1206 size components for easy soldering. Forget building your own board. You can get the DS3231 on a PCB for about $4.50 direct from China through Amazon. 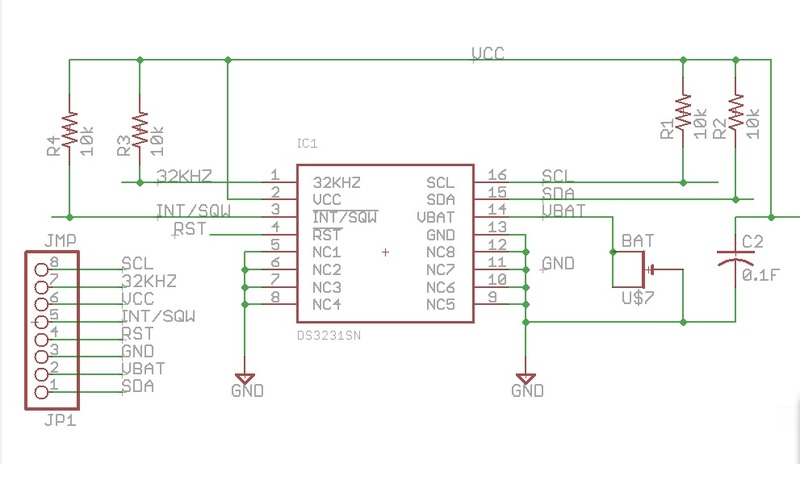 You’ll save yourself a lot of time and hassle and the pinout even looks to be Arduino compatible. Link here.